One of the coolest projects/ start ups i am aware of is BoostedBoards.com. Once you know about Boosted and meet the guys, you can't help but catch a little bit of their infectious passion for their work. The Boosted guys LOVE LOVE LOVE what they work on. They love Skating. They love their start up. They love their craft of designing, re-imagining, and manufacturing a beautiful product. They are clearly dreaming the start up dream. Just look at this video, its lifestyle feel is fantastic ! Boosted Boards - Portable Freedom from ALCHEMYcreative on Vimeo. Clearly, the kickstarter and the larger electric vehicle and skateboarding crowd got excited for this electric Skateboard. Why ? 2. Revolutionary Skating experience: With Boosted you can skate Uphill! 3. Its a Loaded Board to start with ! To make a product with this high of a bar for quality something must be sacrificed, and as usual it is price. 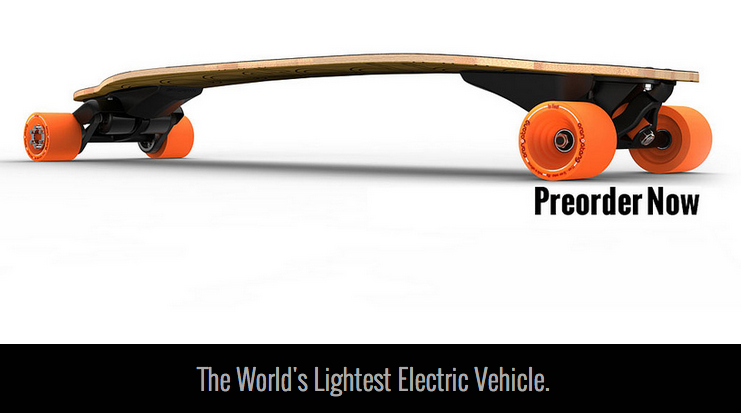 In summary Boosted Boards makes the best electric Skateboard in the world, and the lightest Electric Vehicle. Disclaimer: To be fair i have never seen a Z-board in the flesh, probably the closest electric skateboard competitor to Boosted, so its not fair to judge. If Zee board wants a fair shake at a full ForTechiesOnly.com post feel free to get in touch with me about a sample board ;) (P.S. Z i love the handle designed into the board). A long board really good help for long riding .I have got my long board from here best longboard brands. Great job, I also love longboarding and dream for a long journey on my favorite board across my country. Thanks for sharing such great articles. Some perefct Longboard you can find here Best Longboards Brand. This is an awesome and great item. Longboard always live on in my heart, it's what got me into this game! This is so inspiring!Thanks for shearing this.